97% of business leaders rate creativity as increasingly important in the U.S. workplace, but 85% of these employers say that can’t find the creative applicants they seek. (Navigator: Facts & Figures by Americans for the Arts and Vans Custom Culture – from Ready to Innovate by Lichtenberg, J., Wiick, C., & Wright, M. (2008) ). Countless studies show that the arts promote creativity, critical thinking, as well as higher overall achievement. Arts Integration reflects Howard Gardner’s theory of multiple intelligences which speaks not only to how people think and learn, but also to the creative process, and critical thinking. The arts innately foster communication, collaboration, and creativity that will help students develop 21st century skills and allow them to flourish and thrive in their schools, their communities, and their professional lives. Young Audiences believes that incorporating the arts into education is the key to raising academic and artistic achievement while enhancing and developing learning skills that translate across curriculums. Arts for Learning Connecticut (AFLCT), an affiliate of Young Audiences Arts for Learning, has developed a new program called Arts Partners Schools Initiative, which aims to partner with schools in Connecticut to provide arts integration professional development for their teachers. The Arts Partners Schools participants will have the opportunity throughout the program to learn about arts integration and gain skills and tactics to successfully integrate the arts into their pre-existing curriculum. In its first year, the Arts Partners program participants will take part in 16 hours of professional development led by specialized teaching artists over the course of the school year. Beginning in December, the schools and teaching artists will work together to build a model of professional development that is tailored for each individual school, in order to allow participants more “hands on” experience in the classroom, rather than sitting through a typical 2 to 4 hour development seminar. The teaching artists participating in the Arts Partners Initiative have been selected from within the AFLCT teaching artist roster based on specific criteria including their arts integration expertise, familiarity with the Universal Design for Learning, - a set of principles for curriculum development that gives all individuals equal opportunities to learn through differentiation strategies- and a willingness to participate in a set of artist forums which will take place during the course of the program. These sessions will culminate in a three day institute in the summer of 2015. The professional development throughout the school year will focus on one art form and will vary based on the specialties of the selected teaching artist. The summer institute will then provide a more comprehensive look at all the art forms through a more traditional professional development scenario, yet still featuring an “open studio” concept. The hope for this program is that teachers go back to their classrooms with a newfound excitement for the arts and feel more comfortable utilizing arts integrated curriculum to inspire more comprehensive and expansive learning. Finally, the programs will allow students to develop and access more creativity in all of their tasks, elevating their learning from basic recitation of fact to something that is more enjoyable and boosts cognitive development as well. Arts for Learning Connecticut’s goal is to offer every school the opportunity to take part in their Arts Partners Schools Initiative, and the AFLCT staff will work with schools to explore grant opportunities to help support their commitment to integrate the arts into their pedagogy. 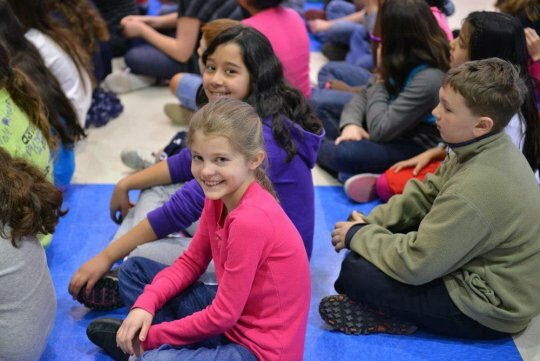 The program has already generated a great amount of interest from many Connecticut schools who want their teachers to be part of the inaugural Arts Partners class. The first round of residencies will begin in February at schools including the East Hartford Early Childhood Magnet School, the Rotella School in Waterbury, the Davis Street School in New Haven, and the Ridge Hill School in Hamden. 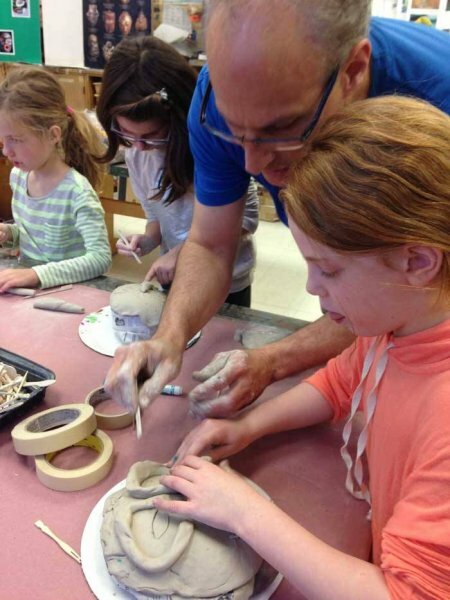 Through their Arts Partners program, Arts for Learning Connecticut hopes to build a supportive community of teaching artists and teachers who will ensure that many more students in Connecticut will have access to arts integration in the class room. For more information about the Arts Partners program please contact Arts for Learning Connecticut Education Manager Mike Kachuba at (203) 230-8101 or visit the Arts for Learning Connecticut website.